Are you looking for new fleet vehicles? When it comes to leasing or buying it can be a tricky decision but do you know the benefits of each option? To buy or not to buy. That really is the question here. 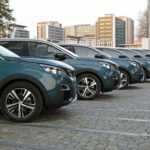 If you simply can't decide between fleet leasing versus buying then this article is especially for you. It can be a tough decision but as ever, your friends here at OSV are here to help by rounding up all of the key considerations when looking at fleet leasing versus buying. Like any good versus article, we'll kick off with the pros of each. While purchasing a fleet vehicle may seem expensive it does have some benefits. That being said, when purchasing multiple fleet vehicles you’ll find cost savings if you are not buying them all in one go. In the automotive industry, this is known as fleet purchasing. 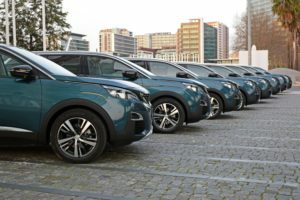 In recent years fleet dealers have been incentivising on fleets upwards of 3-4 cars but discounts used to only qualify on fleets of 10 cars or more. The cars are an asset within the business which helps with your accounts and the strength of your balance sheet. It can be re-sold to gain some funds into the business. Owning your vehicle's gives the business some level of control and flexibility. Enabling you to dispose of them whenever you like, Maintaining the vehicles and the condition of them is also down to your discretion.